Whimsy by Shellye: Time for a WINNER! The official winner of the MSN prize will be announced very soon! Well, if you frequent the forum at The Nook, then you know we've been without power for a week now...I'm happy to announce that it's back up and running! While the board was disabled, a blog was set up so that we could continue to share challenges and news with all of you. My latest CARDS Challenge will go live at the blog tomorrow, but to keep with my "Wednesday" schedule at the forum, I did go ahead and post it there today. 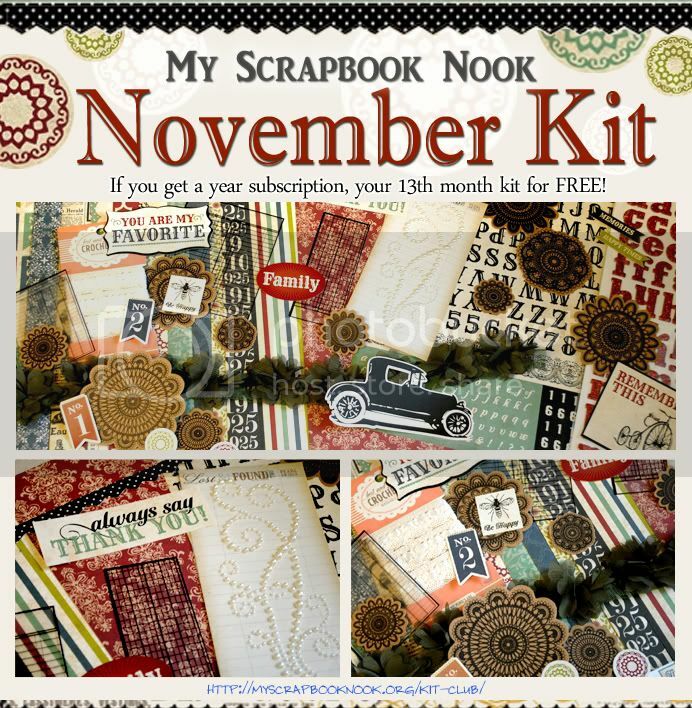 And here is a beautiful collage of the November Kit...shop for yours today! I adore this newest set of stamps that I received from Ippity last week! I had my Christmas tunes playing, so I was really in the 'spirit' while making this little cutie. I stamped, then cut out the image from a sheet of white cardstock. I mounted that onto a sheet of patterned paper (by My Mind's Eye) and cut it out a little larger. Using that same size, I also cut a circle from the front of my card. The actual stamped image is placed on the inside of the card just for kicks :) I then outlined the circle in baker's twine. YSS will be greatly missed! I will see you all in a couple of days, if not tomorrow. 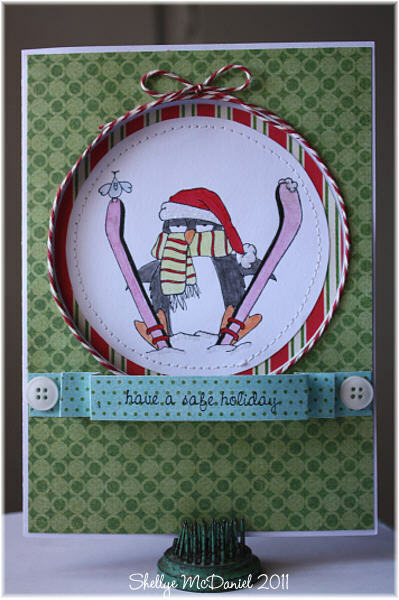 What a great card-I love the image and the twine around the circle:) TFS! Congrats to the winner also!